Dare you join the Investigation? 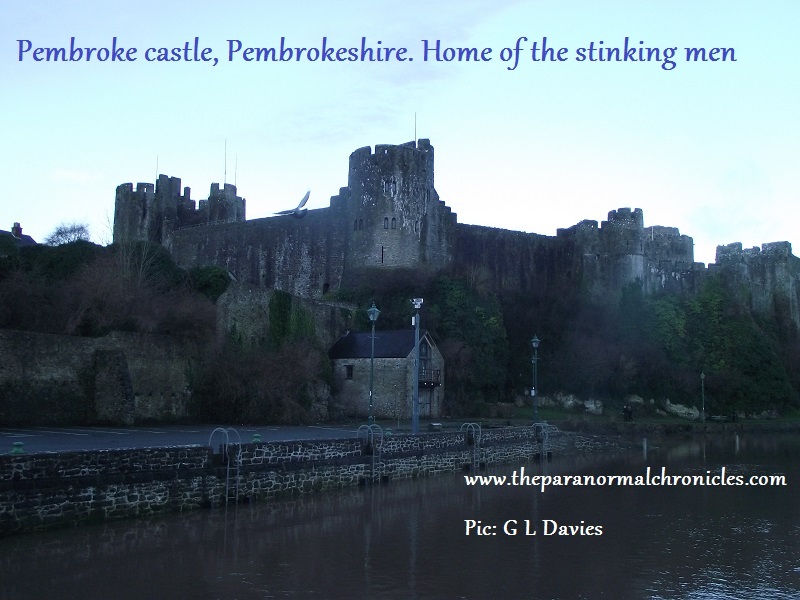 Have you heard about the Most haunted house in Pembrokeshire? Maybe you are already living there. 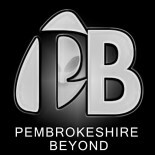 To celebrate the 20,000th copy of A MOST HAUNTED HOUSE by G L DAVIES being sold today Pembrokeshire Beyond presents this very special look at the #1 selling unexplained true mystery novel.This case study is a MUST for anyone interested in the Paranormal and is fast becoming a world renowned haunting. Not only can YOU read an extract from the true story based in Haverfordwest that can be read by purchasing or borrowing the book from KINDLE/AMAZON PRIME or in Paperback but today you can enjoy an insightful interview with G L Davies to help you delve further into the unexplained occurrences that took place in that small home in Haverfordwest. Plus vote on whether you would stay at the house or not! Sit back and enjoy your journey into the unknown… We do advise you though…try not to read A MOST HAUNTED HOUSE before bed. What is A MOST HAUNTED HOUSE? A most haunted House is based on a true and terrifying account of a prolific and aggressive haunting in the Welsh Town of Haverfordwest in West Wales. Seen as controversial and sparking debate between sceptics and believers alike due to the ferocity and intensity of the haunting, A Most Haunted House is the eye witness account of a young couple fighting to keep their new home and each other as an entity tears their world apart. After an introduction by Investigator and paranormal re-searcher G L Davies, A Most haunted House is a series of transcripts from the people involved that spans the three months that the haunting took place. Starting with almost small and mundane incidents and climaxing with the haunting reaching its full and terrifying ferocity. Described as Chilling by some and thought provoking by others this is one novel that is a must for those interested in the Paranormal. A most haunted house invites you the reader to decide for yourself on what truly happened at this home. Should this be true….then there are unknown forces that we cannot combat in this world. 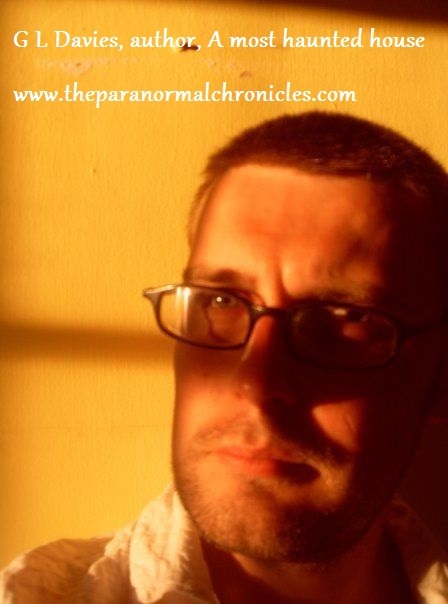 The paranormal chronicles very own D.J Jones sits down with founder of the paranormal chronicles, new owner of Pembrokeshire Beyond and paranormal investigator ,G L Davies, author of the kindle number 1 bestselling novel, A most haunted house, to find out just what makes him so compelled to delve deep into the unknown. First of all, we would like to congratulate you on your success of A most haunted house. It has topped the charts in two kindle sections and even out sold the Dali Lama’s book. Did you ever expect your novel to be so widely appreciated? G L Davies: (Laughing) I don’t think I have outsold the Dali Lama’s book but for one day I sold a few more copies and was one position above him. I have had a keen passion for the paranormal since I was a child and have had a deep interest and when I investigated the house from the novel and had the blessing of the people involved then I thought that this was a great story, it had to be told. I never expected it to sell over a 20,000 copies in little over a year and I certainly did not expect it to become a number 1 bestseller.People from all over the world are reading about Haverfordwest!! I am humbled and grateful to everyone that took the time to read it supported it and I have enjoyed all the feedback, interest and correspondence because of it. So many people have been so kind, people I live by and worked with got behind it from day one and I was amazed. I can’t thank them enough. It’s been a very interesting part of my life. A most haunted house has been seen as controversial for many reasons by many people. Would you care to explain why this is? Whenever you deal with any topic within the paranormal, you are always going to deal with some controversy. For a paranormal world to exist then that can affect society on so many levels whether it is religion, science, medicine, biology, zoology, philosophy or sociological. Each individual on this planet has their own belief system so to tell one person that a ghost can interact on a destructive scale and affect people’s lives may be insulting, certainly challenging to what they know where another person can happily believe and be convinced with no shred of evidence as that is what they wish to choose to be the case. I have had emails from people asking me for help and guidance, an opinion and so on in regards to their own experiences and I have had some say I am encouraging the belief of dark practices and I am encouraging people to foolishly dabble in something diabolical. Sceptics have asked how I could write about such things when science has not proven such things exist. I think also because the book centers on a relationship break up which is described in a very raw and detailed manner that some people find that unsettling. It has upset quite a few people that something so terrible could do so much damage. What did you reply to the sceptics? I replied that as far as we know that science has not been able, to my knowledge, been able to create such phenomena in lab conditions however not so long ago in human history we believed the world to be flat, that the sun rotated around the earth. We used to burn those in tune with nature, those that participated in holistic practices as witches as it did not fit in with the popular, religious, beliefs of the time. That is an awful tragic part of our legacy. I am not an open as a barn door believer but there is room for everyone to just think what if? Society, in my opinion, needs to challenge what we believe we know and question and push for more solid answers. We are a very spiritual race when you look at it. We have a religious, theological and philosophical awareness; I believe there may be a reason for that other than a nagging fear of death, the journey into the unknown. Over millennia I believe that we have inherited a bond with the universe and the universe has so many unknown elements that we cannot fathom. Compared to what our universe has our knowledge is merely a grain of sand on a beach. It shouldn’t be a frightening prospect but an exciting and marvelous one. In A Most haunted house, the haunting seems to focus on a couple and their vulnerability. What motive can you speculate the entity had? Whatever was in that house was creating a very negative emotional response from the couple. It was almost as if it was trying to see how hard it could push them to breaking point, and then just as they were about to break then it would pull back, enough to create a sense of hope, of rest and then start up again with a more intensified relentlessness. I spoke to the couple and they were genuine in terms of their emotional response to it. I saw anger, confusion, sadness and fear among other things. Over the 25 plus years I have investigated there are instances where I have been able to dissect the truth from the fiction, some people like to feel that something special is happening to them as they feel life does not offer them enough, that perhaps life is mundane or that they are insignificant and need to feel chosen or victimized. The people I spoke to in the book I believe experienced something that did genuinely affect them. I was not there but when you read the book you get a sense from them that something awful and uncontrollable was occurring and not in an outlandish and exaggerated way but a slow and gradual build up. (Laughing) It’s not all about blood pouring out of the walls and heads spinning around spewing pea soup. You have spoken out about some Paranormal investigators not actually being very good investigators. There are some fantastic investigators but I have spoken out in general that some paranormal investigators simply feel that wandering around with camera’s at night shouting “Show yourself! !” is tantamount to a thorough investigation. That is fine but I believe the real investigation is in the human element, deciphering what really happened. Body language, the delivery of the words, the expression and detail given in witness testimonials hold the real clues to what is happening. Investigators need to discover the motives and origins of the event first. Get the story, cross examine the people involved if possible with thorough interview techniques, then do your research and then conduct the field study. That’s my opinion. (Laughing) I think this is based on some experiences I have had with some terrible investigators. There was this one group that toured around and would charge for an evening in an alleged and historic haunted location. I actually went to two of them as for whatever my opinion was were very good at securing some pretty spectacular locations. One night I caught one throwing a chair and then saying the chair was thrown at him, another man was throwing stones at people in a séance saying they were spirits. I actually filmed him doing it on a night vision camera and when I presented it to him he said he must have been processed by a mischievous witch. There were many, many examples. Have you ever been afraid on an investigation? Definitely and that’s part of the thrill, part of why I do it. The adrenaline starts to pump but you have to be careful that you don’t let your irrationality overwhelm you. Evidence has to be gathered and the mind-set no matter what you are witnessing has to be of what is actually happening here? One time in Pembroke castle I think I was the most confused and terrified. There is a blog on the paranormal chronicles to what happened that night (http://theparanormalchronicles.com/2014/11/10/stinking-spectres-terrify-investigators/) Check it out, I was genuinely terrified and to this day I’m still concerned by it. Not only has A most haunted house been a commercial success but critically you have had some very good reviews, how does that feel? I wrote the novel while I was waiting at train stations. I knew the story was good but I was unsure of how I would write it; I liked the idea of having a found footage element that you have in so many films but in a novel. I thought it might be a risk but then I genuinely only thought a handful of people would read it. I have received some very positive reviews. Even the constructive ones I appreciate as it’s the only way I can learn and grow as a writer. I am working on a new project and if I can eliminate some of the mistakes and errors then hopefully people can enjoy them more. I am dyslexic and thrilled by the response of A most haunted house. Nearly four and a half stars out of five from 107 reviews is very humbling. I never though it would connect to readers in the way it has and so many people email me with great stories of their own and with theories on what happened at the house in Haverfordwest. It is a remarkable and thrilling experience. What is your favourite ghost novel of all time? It has to be Green tea by J. Sheridan Le Fanu. If people reading this has not read it then please do so plus any FAMILY GUY fans that like the evil monkey will love it. It’s about a Vicar in Victorian England that drinks too much green tea and is haunted by an evil monkey. It’s a great story that really shows how the world was changing at the time and the book is about eastern religion, Darwinism and the church all trying to co-inhabit a changing world, great story plus anything by M. R James. You have a Degree module in hauntings in 19th century literature? I do, amazing course, would recommend it to anyone. As well as having written A most haunted house, founding the paranormal chronicles, being a paranormal investigator you won ITV 1’s natural born sellers in 2008, appeared on the Harry Hill TV show; TV Burp ( Season 8 ep1), were a cobbler and watch repairer and you studied to be a Barber and currently work in advertising. You seem to have achieved quite a lot by 39, what motivates you? (Laughing)I want to have an eclectic mix of people at my funeral .I want to have the most interesting funeral ever! NOW join the Investigation and enjoy A Taster of a Most haunted house…if you dare. Sam: What a strange night. I never really believed in ghosts and aliens but that night still gives me the shivers even now. I was only ten or eleven but I remember the night. Sarah and John had just bought this new house in Haverfordwest and they had got a cat and it was around the time the fair was in town. We enjoyed seeing them as they were always fun and treated us like grown-ups and gave us more freedom to relax. We went to the fare and had a great time, I felt a little ill from the hotdogs and sweet stuff but apart from that it was fun. They had this strange attic conversion, a weird shape, low ceiling and everything made of wood. There was a fold out bed in there and Eric and I shared it. It was cool in there as John had a PlayStation 2 and we played some fighting game until Sarah popped her head in and said “time to sleep boys”. She left the landing light on, so light was coming in from under the door so you could make out the shape of the room and we knew where to head to if we needed to get up in the night. At the furthest end of the room was a small door which was access to the boiler and you could hear the boiler doing its thing when John and Sarah were using the water or something downstairs. I didn’t feel uncomfortable at all, just tired and excited as in the morning we were all going to go into town for breakfast. I woke up and had no idea what time it was but the den was pitch black and no light was coming in under the door. I heard no boiler or anything but I heard what sounded like a door slowly opening. But it wasn’t coming from the direction of the main door but the little boiler door at the other ends of the den. Eric was fast asleep and breathing deeply. It sounded like the door opened and closed a few times. Like it was opened as far as it could and then slowly closed again and then opened and so on, a few times. I was scared, I remember holding my breath trying to listen and then I heard what sounded like something run across the den, like tiny feet, not like an animal but like the way a child or toddler would. I was terrified but I was too scared to scream or shout. The footsteps ran straight past the fold out bed and I heard what sounded like the woosh, woosh of material and then the boiler room door closed, not loudly with a bang but with more force than when I first heard it. It clicked as it closed shut. Eric said he heard nothing or saw anything and I must have dream’t it but I don’t believe I did and it scared me. I hoped it was John playing a prank but Sarah told me in the morning that it was pipes under the floorboards making it sound like someone was walking about and I believed her. It wasn’t until a few years ago that she told me what had happened in the house. I think we were lucky, as scary as it was, some of the stuff that happened would have put me in a mental hospital if I had been there. I never stayed there again. I feel sorry for John, he was a good to us and that was one of the last times were saw him but that house did, in my opinion, ruined them both. People can say it was a dream or I made it up but it was real and frightening. Read all the books ok so i found the first one and had to read the rest scary that these things are happening locally. a great Read by a great author. more please is all i can say. This entry was posted on March 29, 2015 by The Paranormal chronicles in Ghosts and Hauntings and tagged A most haunted house, Ghosts, haunted house, hauntings, paranormal investigation.